Product prices and availability are accurate as of 2019-04-22 19:24:10 UTC and are subject to change. Any price and availability information displayed on http://www.amazon.com/ at the time of purchase will apply to the purchase of this product. 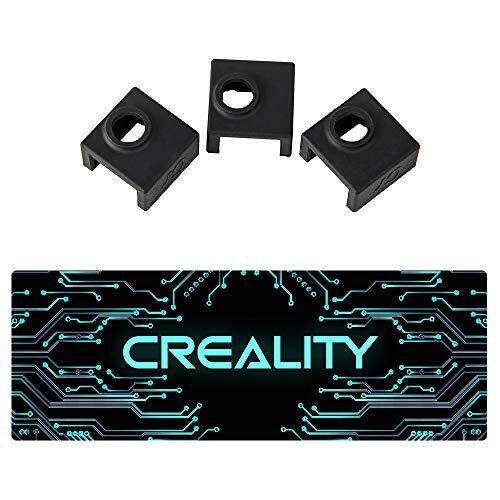 This is the official Creality 3D Hotend Sock and sticker pack. The newest trend in 3D printing, hotend socks, help to keep hotend temperatures from fluctuating and therefore improving print quality. We have developed a high-temperature silicone sock designed to work well with all Creality 3D printers. 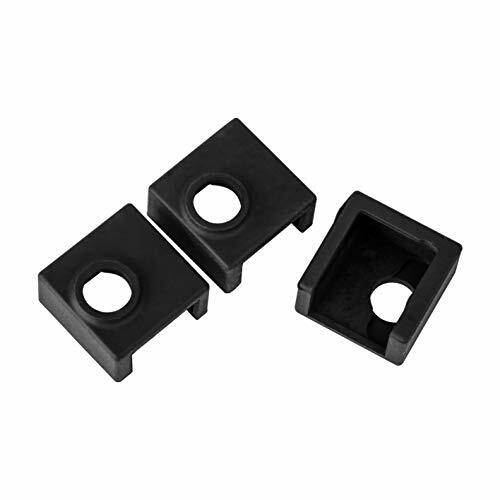 Use this sock to help manage hotend temperature while cooling fans operate at high speeds cooling filaments that require a much higher extrusion temperature. This hotend sock will improve success rates on prints with these types of exotic filaments as well as reduce effects of heat radiation from the hotend onto smaller models which might be more sensitive to such heat fluctuations. This is a great replacement for the easily worn and torn kapton tape and heat resistant cotton that come with most 3D printers. 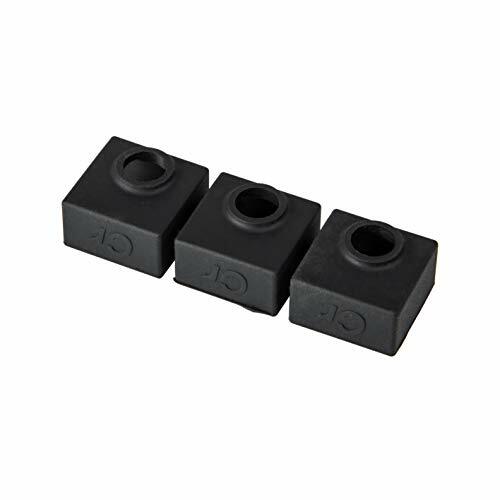 This silicone sock is much more durable and functional when compared to typical stock soloutions for hotend insulation. 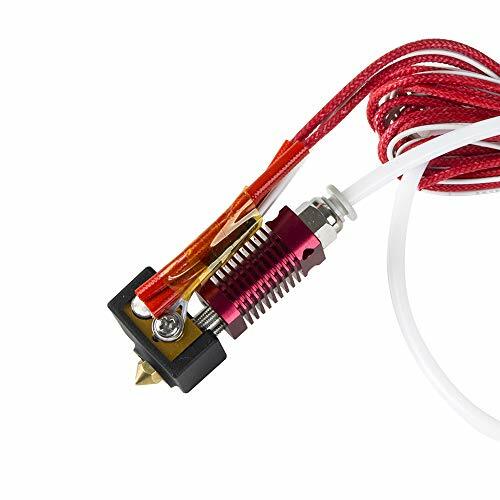 This Creality 3D hotend sock will greatly help to stabalize the temperature of the hotend regardless of the surrounding environment temperatures. 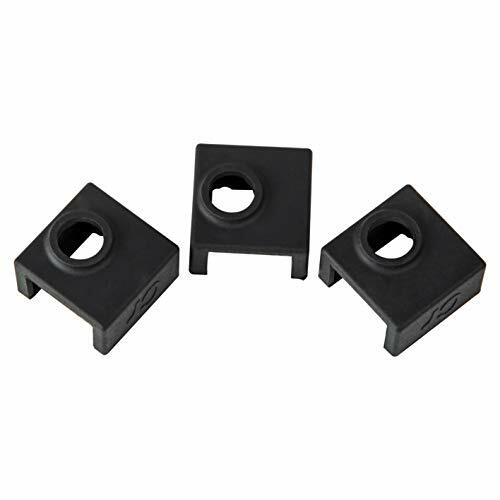 Hotend Socks can be used to quickly heat the hotend to a desired temperature as the structure of the silicone inside the sock prevents heat from escaping quickly. With this sock you can safely print more exotic materials such as PETG at higher temperatures while also using the cooling fans at full speed. Actively keeping the hotend very hot and cooling the PETG much quicker before it is laid onto the hotbed can help with success rates on more prints. 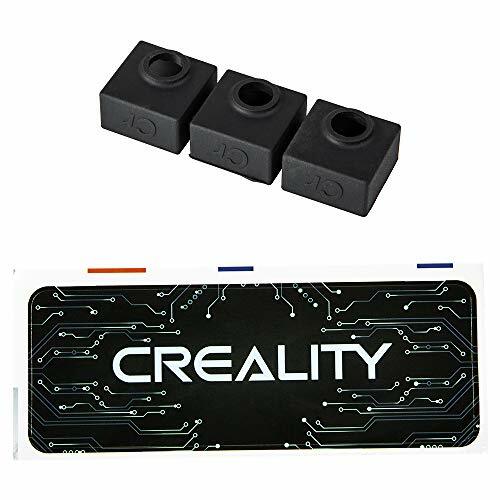 We are the official creality 3D Amazon store. Any accessories in our store have been extensively tested on all Creality brand products.